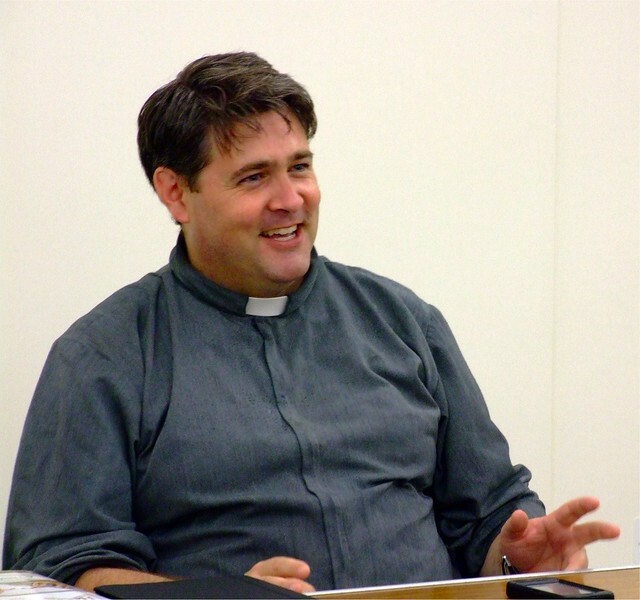 Fr Sam Medley SOLT spoke to the Association today on the theology of the Body of Blessed Pope John Paul. The first lecture looked at the philosophical and theological influences in Blessed Pope John Paul’s life, at the structure and principal topics of the Theology of the Body General Audience addresses, and the impact that this development can have in pastoral life. Fr Medley also addressed the concerns that priests have about the presentation of the theology of the body in which inappropriate images are used such as describing the Song of Songs as the “centerfold” of the bible. He made it clear that such images find absolutely no justification in the addresses of Blessed Pope John Paul. After lunch, the lecture was more personally focussed and looked especially at the way in which the Theology of the Body can help priests to understand celibacy within the plan of God and live it joyfully. Robert Colquhoun gave great assistance in the organisation of the day. Robert blogs at Discover Happiness and has enthusiastically promoted the 40 Days for Life initiative in London.